Reggae in Dublin 2012 | Come Here To Me! An up to date list of regular ska/reggae nights and promoters/DJs in the city. Missing anything? Leave a comment. All information correct as of March 2012. 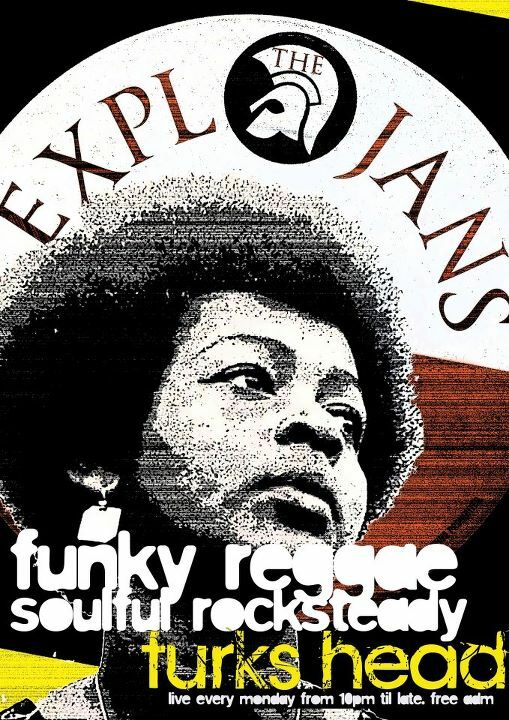 The Expojans @ The Turks Head, Monday nights. 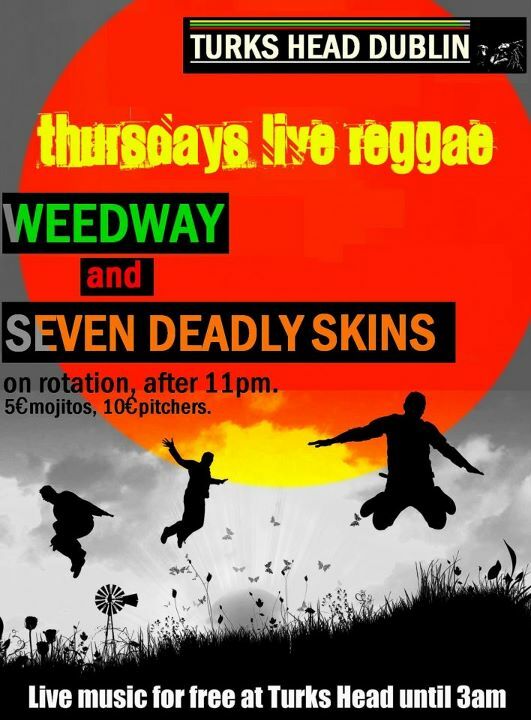 Weedway or Seven Deadly Skins @ Turks Head, Thursdays. 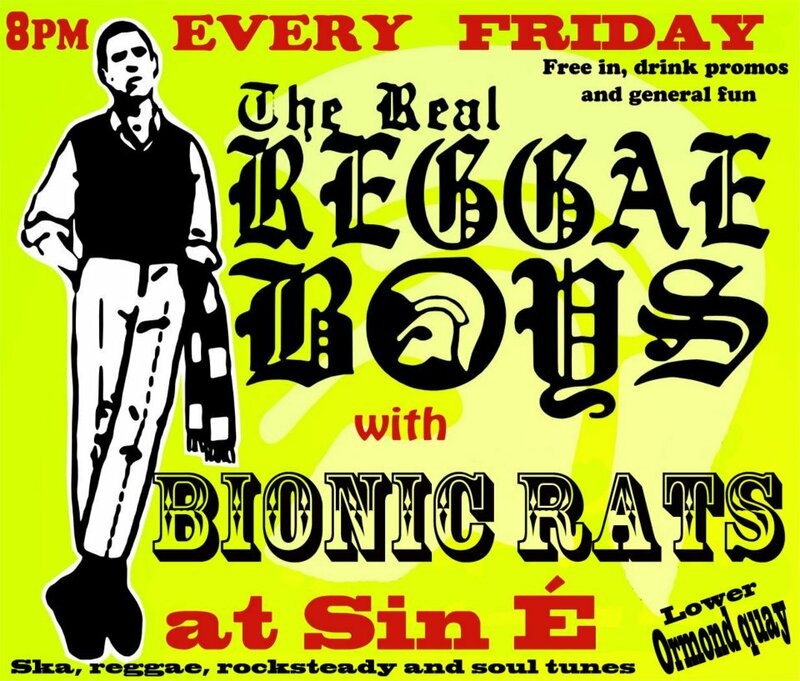 The Bionic Rats & The Real Reggae Boys DJs @ Sin E, Friday nights. Worries Outernational DJs with guests @ Sweeney Mongrels, Saturday nights. The Bionic Rats plus DJs @ The Foggy Dew, Sunday nights. 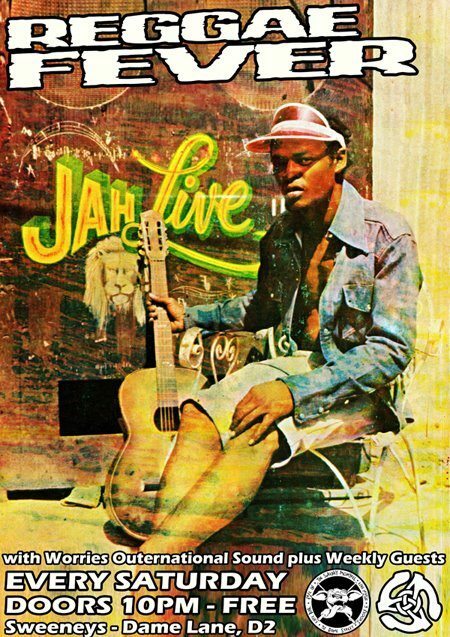 There’s also regular gigs from the following Reggae & Ska promoters; the Punky Reggae Party, Poster Fish, Roots Corner, Irish Moss Records/The Dirty Dubsters, Junior Spesh, Ital Vibration, Community Hi-Fi, Firehouse Skank, Irish Roots Army and Saoirse Sounds. 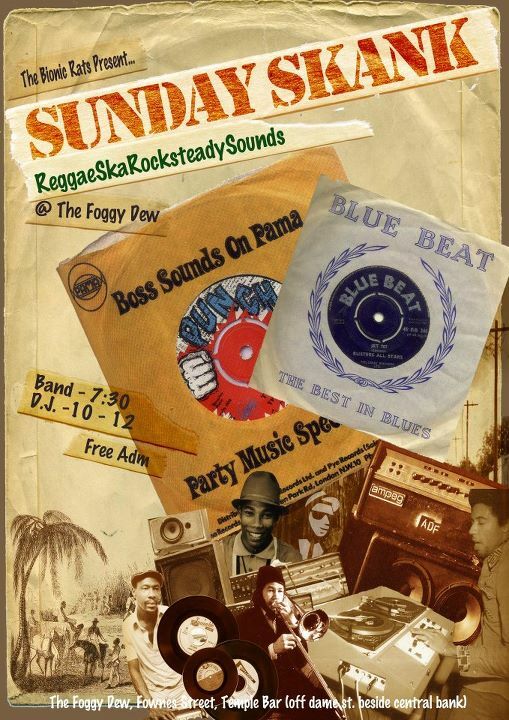 The following ska/reggae bands also gig regularly around the city; The Little Beauties, Pressure Drop, Skazz, The Gangsters, Present Arms , The Very Specials , The Bionic Rats, Weedway , The Reggulators , Trenchtown , Indica, Dubtown Vibration, Promises and Lies (UB40 tribute), Intinn, The Rebel Souls, The Dubtones , The Barley Mob and the Seven Deadly Skins. Was at 2 sessions.Highlights of the year.Sound systems in full effect!Costs too prohibitive!Numbers of people practically need to be guaranteed just to break even.People have to make the effort to go off the beaten track.Once they get a taste ,it would snowball!All I can say to anybody is You got to be there,it’s worth it. Now that’s what I call a public service. Well done all. Does anyone know of a Caribbean steel band?? Hey does anyone know of a steel band working in ireland at the momment rather than one based in the uk? reggae band new roots from dublin an reggae band zero from dublin had a big part in reggae around ireland.